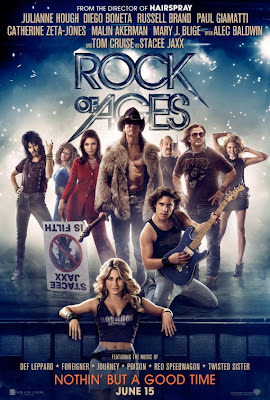 Rock of Ages (mixed bag): This wild, star-filled musical is rather preposterous, but it’s not supposed to be rocket science. Fans of music from the 1980s will enjoy the tunes, and as long as expectations for dramatic content or acting aren’t high, this film should prove highly enjoyable to most audiences. Now playing in wide release. Read my review from yesterday. The Tortured (anti-recommended): This awful film follows a couple, played by Erika Christensen and Jesse Metcalfe, as they kidnap the murderer of their six-year-old son. There’s no reason to see this horrible, extraordinarily disturbing movie. Now playing at the IFC Center and also available on VOD. My capsule review will be up on Sunday. Extraterrestrial (recommended): This intriguing Spanish film is a strange, interesting exploration of four people living in close quarters with a spaceship and plenty of uncertainty hovering in the distance. It’s an unexpected and original drama with a sharp, smart script and creative editing. Now playing at the reRun Gastropub Theater in Brooklyn and on VOD. My capsule review will be up on Monday. The Assault (recommended): This dramatization of the 1994 hijacking of an Air France flight is, like “United 93,” a literal story-to-screen adaptation that doesn’t feature much filmic creativity, which is fine and makes for a powerful and relatively captivating experience. In Darkness (recommended): This Best Foreign Film Oscar nominee from Poland tells the story of Jews hidden in the sewers during the Holocaust. It’s an affecting tale that’s not nearly as strong of a film, but it’s still worthwhile viewing. Sherlock Holmes: A Game of Shadows (highly recommended): This sequel is actually much better than the original film, casting Jared Harris from “Mad Men” as villain Professor Moriarty and featuring nonstop action throughout. It’s long, but thoroughly exciting and worthwhile. 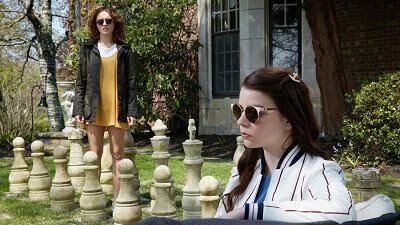 Adventureland (anti-recommeneded): This 2009 dramatic comedy starring Jesse Eisenberg – not the one set in Zombieland – acts just like its main character, unenthusiastic and uninterested in doing much of anything. Instead of summer fun, it’s relatively boring and unengaging. The Cider House Rules (mixed bag): This 1999 Best Picture winner, which won Oscars for its screenplay and for supporting actor Michael Caine, is a sweet but ultimately unexceptional tale that’s generally light but has a dramatic undercurrent to it. 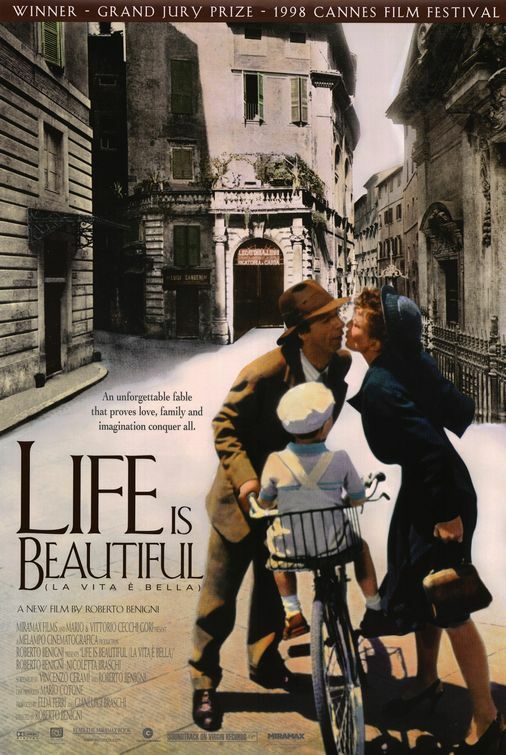 Life is Beautiful (highly recommended): This Oscar-winning 1998 Italian film is an exceptionally moving story of a man, played by Roberto Benigni in a magnificent performance, determined to hide the seriousness of the Holocaust from his young son by pretending that it’s all a game. Rounders (recommended): This 1998 drama follows Edward Norton and Matt Damon as gamblers. It’s not a superb film, but it’s definitely fun and should prove especially enjoyable for card game fans. Thor (recommended): This loud Marvel action piece is best described as top-heavy. Its first half is furiously thrilling and infinitely exciting, but it peters out and fails to provide much of an ending since everything’s heading towards “The Avengers” anyway. It’s still a good time with some decent laughs and great action.